From August 22 to the 24, I was at Rockville, MD for Intervention Con! It was my first time at this particular convention (and my first time in Maryland, really). 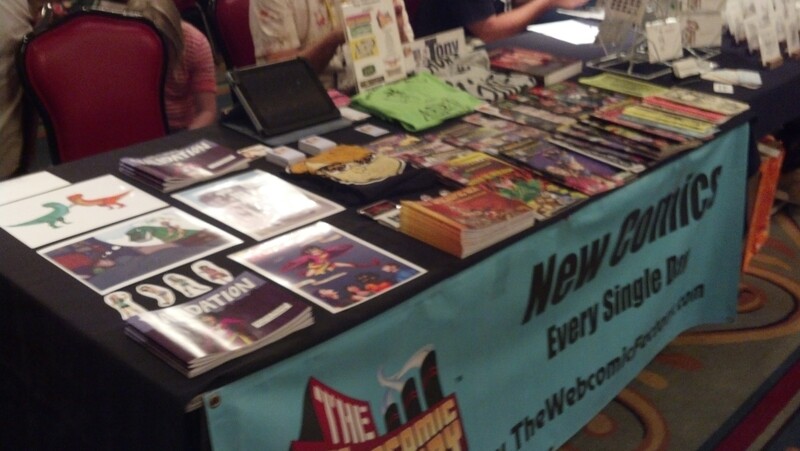 It was a get-together to celebrate webcomics, gaming, and an awful lot of Doctor Who. I could overload you with details about the convention, but I’m going to condense everything into ten points or less so I won’t overwhelm you. 1) If you ever find yourself going from Ohio to Maryland, do yourself a favor and take Interstate 79 to Interstate 68, then onto Interstate 270. That way you can avoid Pennsylvania’s ridiculous tolls. 2) Take a hoodie. The air conditioning in the artist alley this year was freezing. I’m grateful I brought mine. 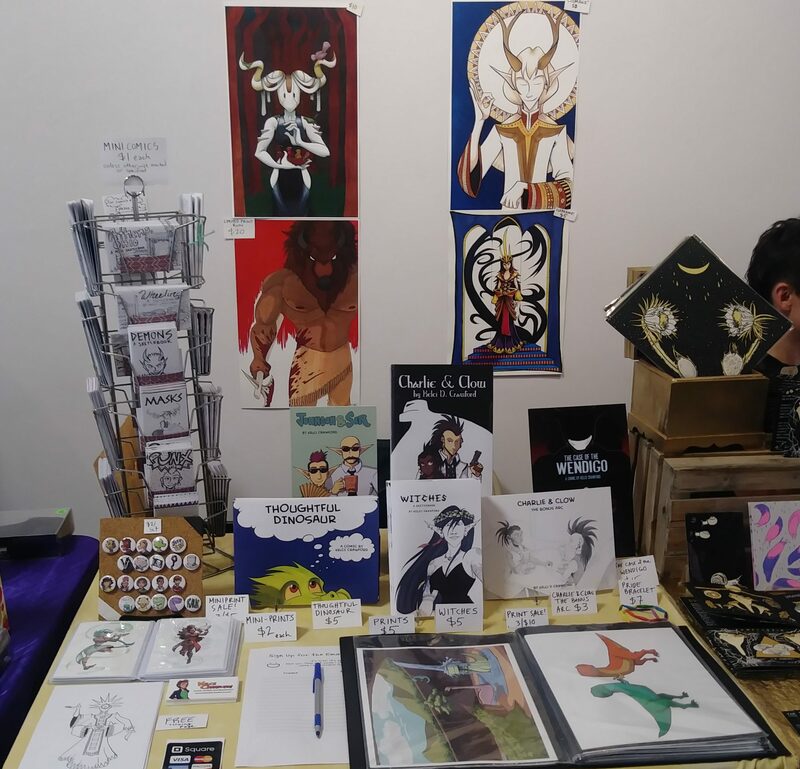 3) When there are no con-goers coming in to spend money (as happened a lot at this particular convention), talk to the other artists and make some new friends. That’s how I met the folks behind Shadowbinders, Bartez, Capes N Babes, and Lost Gamers as well as lovely artists like Magical Tea Time, K.S. 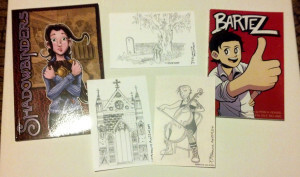 Brenowitz, Tico Illustrations, and Kelsey Wailes (OK, gratuitous name dropping is done for now). 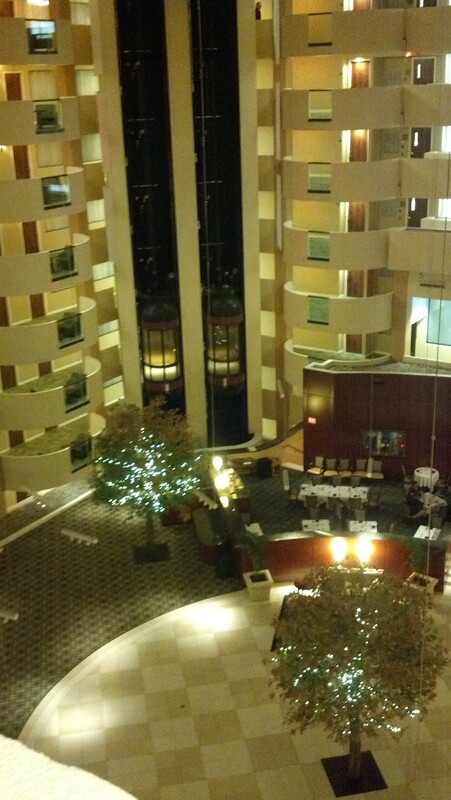 4) The Hilton that the convention took place in had the strangest elevators. 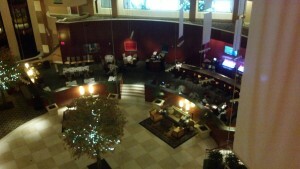 Here’s a few pictures of the lobby to give you some context. So you see how there are elevators in the corners? 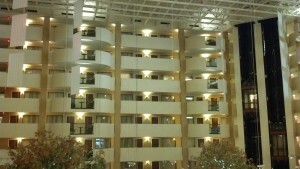 Some of them run only from the third floor to the seventh. Some run from the first floor to the sixth. There are more elevators that will run from other strange floor combinations. 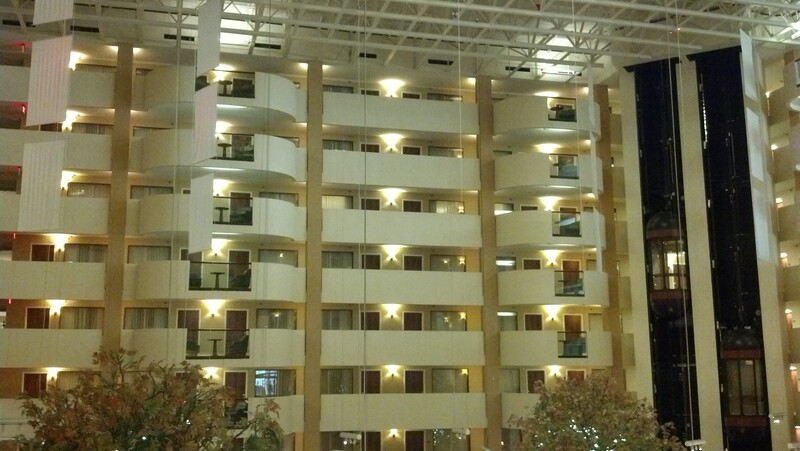 You may have noticed there are eight floors in the hotel. Whoever decided these elevators were a good idea must have been H.P. Lovecraft himself. 5) I almost forgot! This was the table I set up with. I wasn’t listed as a guest because the billing was mostly given to Christian (the writer of Validation) and Tony DiGerolamo (from The Webcomic Factory). 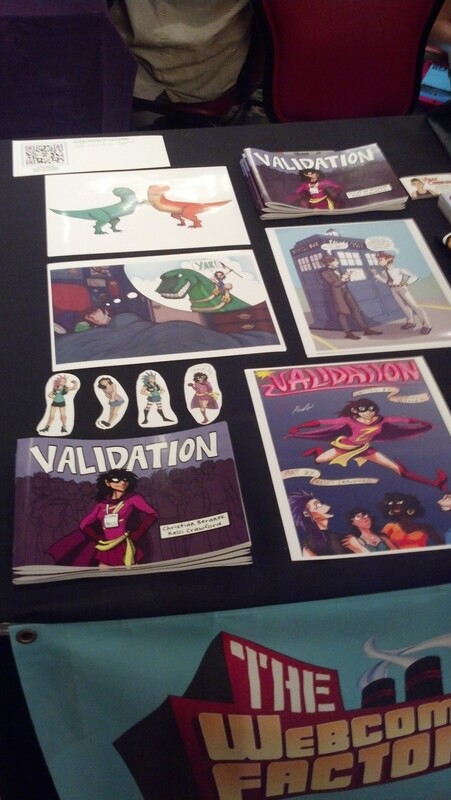 But I was the one with the prints and stickers for Validation, so along I went! 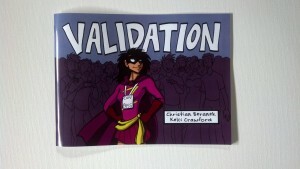 6) There are some extra copies of the Validation Comic Con Special! You can get them now on my online store. 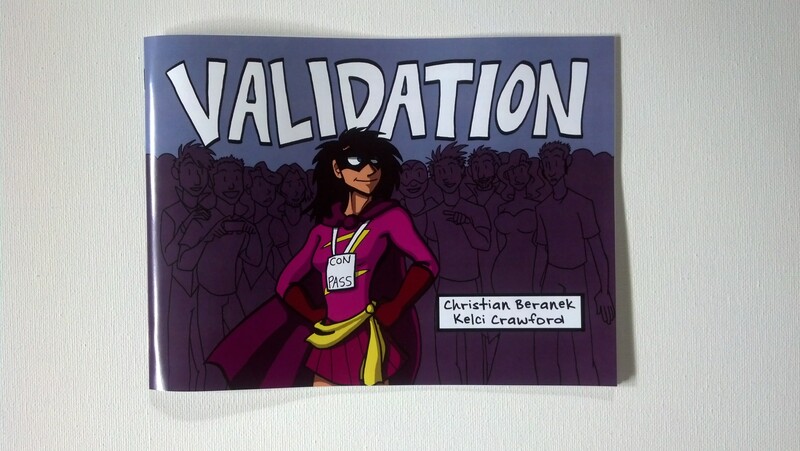 There’s only five copies left, and if you order them, they’ll be signed by Christian and me. 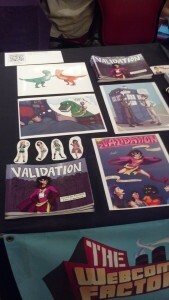 Plus, you’ll get a bonus print for your wall from me! 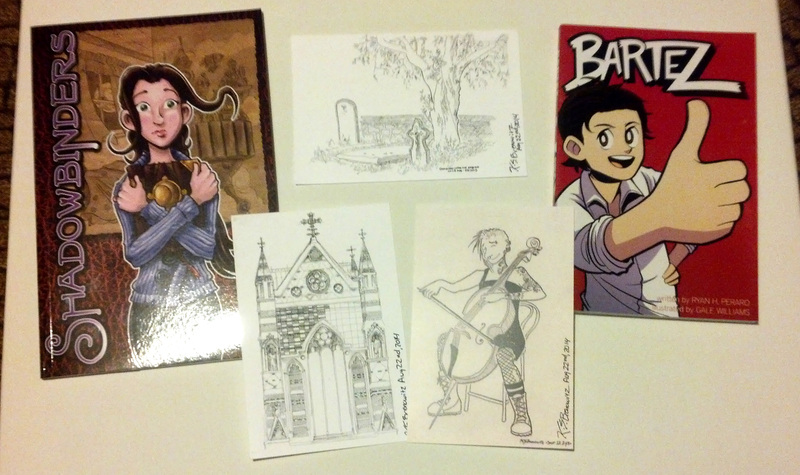 7) I got some new books and art from some awesome folks this past weekend. I’ll be reading the books and reviewing them in a new blog segment called “Review Day Tuesday.” It’ll appear on (surprise!) Tuesday. And the prints? Will be on the wall soon. 8) If you’re ever in Rockville, MD, please for the love of all raw fish go and eat at Rolls N Rice sushi bar. The gang I went with and I had lunch there throughout the weekend, and every time we went it was all delicious! There were other places we went out to eat, as well, but I didn’t catch their names. There was a Mexican restaurant that had the most delicious roasted duck (with olives) I’ve ever had the pleasure to stuff my face with. The convention itself also provided food for the special guests, which was pretty good if you could get it. The food went really fast though. 9) If you’re ever at this con, find alternative parking places besides the hotel. Hotel parking is $18 a night (yeesh!). There are alternatives out there. And I almost didn’t add this, but what the hey. 10) Sunday was my birthday! So Intervention Con was the best birthday present ever! I should add a bonus thing: because I met so many great artists this weekend, I’m bringing back a feature I started a while ago, but neglected. I’m talking about Favorite Artist Friday! So come back on Friday, when I talk about one of my new favorite artists. I’m not going to tell you who it is yet, though, because it’s a surprise. First Happy belated Birthday! The Hilton convention sounds like it was a great event. I’ll defiantly look at the comics you mentioned in your post. 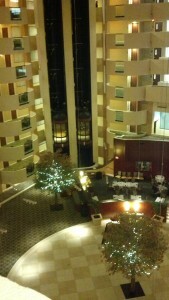 On another note, I may have to defend the elevator system in the Hilton. Depending on the footing of the building and the way it distributes weight, and the framing of the building. There is a reason why the elevators only go up so far for each floor. But most importantly its due to safety reasons and handling traffic waiting times. Ok, that makes some sense, then.